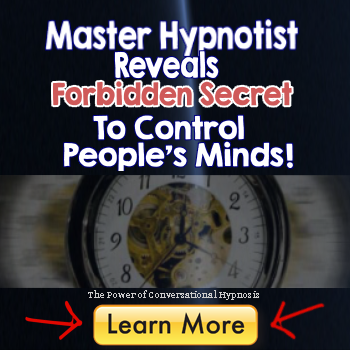 How did Igor Ledochowski decide to become a master hypnotist like he is today? Adam Eason: ...I'm delighted to welcome to Hypnosis Weekly, Igor Ledochowski. Igor, welcome to hypnosis weekly. Igor Ledochowski: Oh, Thank you Adam, it's a wonderful to be here and it's it's a real pleasure to be speaking with you again. Adam Eason: Yeah, yeah. So let's get straight into it, tell us a little bit about yourself. First of all can you tell us about about your background, how you got into this field? Adam Eason: And how you arrived at where you are now. Igor Ledochowski: Sure. So the route as for many hypnotist was a bit twisty, in the sense that as a child when I was young as a teenager I was fascinated by the powers of the mind. You know, I've read all kinds of books. And back then in the 80s I was living in London, and you couldn't find anything on hypnosis and most of the stuff that was, you know, on power of the minds were some strange psychic phenomena and whatnot. So, you know, I read about stuff but I didn't really do much with it. And then I remember when I went to university the same year when a big family reunion and some family members there from the US they mentioned a self-improvement method based on self hypnosis and how it helped them. Click here to download the full interview in audio. If you are interested in learning covert hypnosis, I recommend Igor's Power of Conversational Hyposis program. And I was fascinated so I thought I've got to look this thing up and try it out, which of course I did, and I really enjoyed it. I really...the bug bit me, I enjoyed the self hypnosis, it helped me with my studies a lot. It helped me for some personal stuff, not some of those stuff but you know, it's just the start of my journey. So I was fascinated throughout my student years with it. And there lots of little experiments and I've had fun with it, but then because I was studying law, I became a lawyer. And actually the self hypnosis has helped me get a job at a very prestigious law firm as well, which I was delighted by. At that point I kind of drew a line in the sand, I thought I was going to be a lawyer for the rest of my days. And in about a year in, I was working incredibly hard. This is a place where you're working till 10 o'clock at night every day ,work until 4:00 a.m. you know, once or twice a week was not unusual. Every other weekend I'd be at work. So, slowly but surely over the years my entire life was becoming law. I saw all my old friends was trying to fall away because they're doing their own things. I couldn't go out, I wasn't going... I was just... law, surrounded by it all and at that point I thought, I've got to do something different. Something that has nothing to do with this field because I'm going crazy. And that's when I went back to....what I enjoyed doing before, and the two things I really enjoyed were martial arts and hypnosis. So, I thought of two, hypnosis is completely off the charts different. So I enrolled in a like a year-long school, one of these weekend a month course things. And then for the next two years I spend every spare moment I had, every weekend I had to pair every piece of holiday I had. I booked on to some kind of hypnosis training, because I was was hooked and...partly out of desperation, of course, partly because it was just fascinating. And after about two years of this, maybe two and a half years of this journey, I finally decided that this is it, I'm really enjoying myself for a tiny fraction of the year when I much not doing law. And the rest of the time I'm just looking forward to my next holiday, which is not a real holiday, I'm actually sitting down in school to learn stuff. And I figured, you know the writing's on the wall here, I might as well do what I love for a living rather than, you know, make a living doing something that I find less than satisfying, right? Igor Ledochowski: And that's sort of where the whole ball, the whole momentum started from that point.